We guide you through conversion tracking implementation for your website. 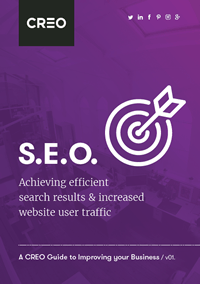 If your business has a website or even an app it is fundamental for you to know if it is proving effective for your business objectives or not. Luckily unlike more traditional forms of marketing, digital is totally measurable and you can keep a close eye on what’s getting you the results you want and what perhaps isn’t. These insights can then help you to move forward with an informed marketing agenda. You might wish to measure where the enquiries coming through your website are coming from, why your social media platforms have had such a surge in popularity, where the majority of your online sales are coming from or how users have made their way to your e-book download. If you’re lucky this might be the only step you need to track your site effectively but this will be totally dependent on your site and if you have individual completion urls for the conversion actions you wish to track i.e. when a form enquiry is submitted, a ‘thankyou for your enquiry’ page may appear with its own individual url that can then be tracked nice and simply. Google Analytics is quick and easy to set up and luckily for you Google have written a quick and easy analytics guide for your reference. Google Analytics will enable you to see how many views, sessions, new visitor’s vs returning you have. It will also mean you can access much more detailed analysis such as demographics, devices, locations and search term triggers. These insights will be hugely informative and help you to learn about who your target audience really are and how best to get them to take action with you. These insights can form the basis of further digital marketing strategy. Analytics will help you to access which marketing avenues work for you and perhaps which ones need to be scrapped. For example you can see which social media platform is driving the most traffic to your site and which is encouraging the most conversions. You can then move forward knowing which marketing efforts are worth your time and money. In Google Analytics you have the option to set up Goals- these are your defined desirable actions on your site or app that you wish your user to take whether that be a sale or an enquiry. The three ways in which these goals can be tracked are by: destination, duration or event conditions. Destination meaning a page url that they land on which can be tracked. Or an event being a user’s interaction with an element of your site such as viewing a video or clicking a download. If you are using Google AdWords marketing, it is important to firstly integrate it with your Google Analytics account so that you can have a snapshot view of your entire digital profile in one dashboard, making it easier for you to collate your results. If again you are managing a Google AdWords account for your business, it is crucial like with your general site to measure its effectiveness so that you know whether it’s worth your while or not. Google AdWords conversion tracking can help you to establish how well your campaigns are doing, if they need to be more focussed or if they are even worth doing at all. To do this you can import your goals from analytics. Or you can set up goals remotely in Google AdWords instead and some basic code installation is needed on either your site or on a programme called Google Tag Manager. Google Tag Manager is a free tool that makes it easy for marketers to add and update website tags — including conversion tracking, site analytics, remarketing, and more—with just a few clicks, and without needing to edit your website code. Like Google Analytics, it is easy to use and set up and be done using your same Google account. Take a look at these simple Google Tag Manager set up instructions as an overall guide. In short Google Tag Manager enables you to integrate tracking code on to your website without accessing the code of the site itself. It uses a very user friendly dashboard that simplifies the whole process for you. This means that even people without a huge amount of tech experience can get their heads around it after a good revision session or two. The fundamental understanding that you need to grasp to use tag manager effectively is the concept of tags and triggers. Tags are the things you want to track i.e. there is a specific AdWords Conversion tracking tag as one of the standard go to tags. You can select this if you wish to better understand how AdWords is helping your business and if it’s getting your users to take the desirable actions you intended. So once you know this is the information you wish to know, you need to define what will trigger the tag. Will it be a form submission, a social media share button or perhaps a click on a contact email. Whatever it might be you will need to find an element whether that’s in the code or perhaps the url that is unique to that desirable action so that it can be defined as the trigger for the conversion. A trigger is a condition that evaluates to either true or false at runtime. Triggers attached to a tag control when the tag is fired or not fired. So for example a trigger could be a completion url or perhaps a length of time spent on a certain area of a page. You choose the situation in which the trigger must be in for it to trigger e.g. only when the url contains the word ‘thank-you’. You will then need to define a value, this is something only you can choose. Perhaps you are able to calculate the value of an online enquiry by knowing on average how many enquiries turn into sales and how much on average they are worth. Google Tag Manager compares the value you provide with the runtime value in the variable. Google Tag Assistant works hand in hand with tag manager and basically helps you to check if your tags are installed correctly on your site and if they are being triggered when intended. To get a more detailed insight into this platform and how it can help you complete the tracking process take a look at Google’s notes. Whether you are completely new to analytics and conversion tracking or you have some experience in this area, it is totally achievable for you to ensure you are monitoring the effectiveness of your site or app so you know you are getting your worth out of it. Should you need any advice or assistance in doing so then drop us a line. We’d be happy to help.